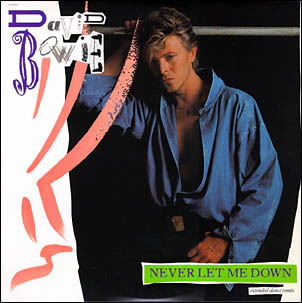 David Bowie - Illustrated db Discography > Never Let Me Down 12"
The same songs also appeared on a UK promo 12" with a plain pink label (no catalogue number). Although listed as Edit, ''87 And Cry' actually plays the longer CD version. 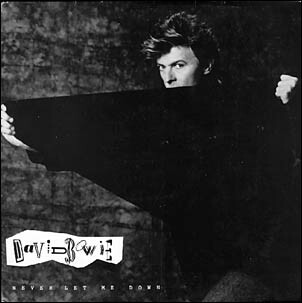 Promo 12" in an exclusive sleeve. Both sides have the album version. 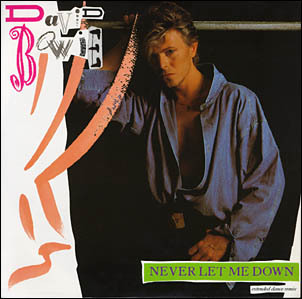 This promo was released in the US in a plain sleeve on EMI SPRO 79090. 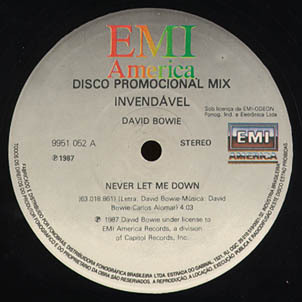 Label of the EMI 9951 052 promo. 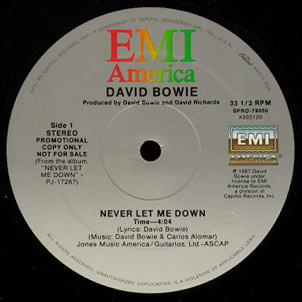 Label of the US EMI SPRO 79090 promo.